All BICSc accredited training is managed through BICS Business Services (BBS). BBS is a leading training provider for the cleaning industry. Our standards combine expert knowledge from highly regarded industry professionals allowing us to deliver accredited training and best practice to the industry. Everything you need to know about our training in one place. Find out more about BBS and how we are raising the standards of the cleaning industry through accredited training. The Cleaning Professionals Skills Suite provides practical accredited training and the skills needed to work safely in the cleaning industry. 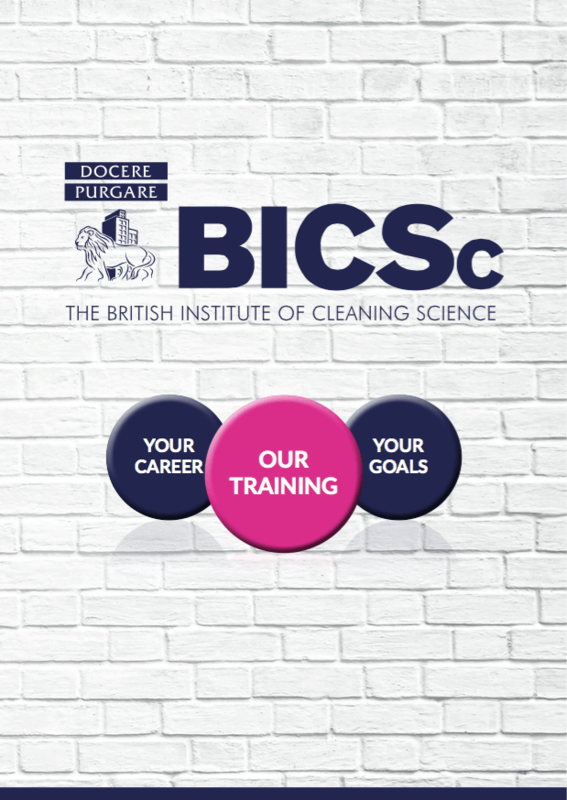 The BICSc Licence to Practice (part of The Cleaning Professionals Skills Suite) provides the essential entry level skills for cleaning operatives to work safely and efficiently. Take a look at our online courses and start your learning now. Find out about our OPL course, suitable for operatives who are responsible for the safe and hygienic laundering of items. Learn more about our Train the Trainer course, suitable for workplace trainers from all industries. Find out about our Independent Cleaning Quality Inspections. Read more about where you can complete BICSc accredited training. You can now train at our brand-new Training Centre in Northampton. Find out how to become an Accredited Training Organisation (ATO) and train your own assessors. Take a look at list of our current Training Centres in the UK and worldwide. Cleanlogic™ provides the technical underpinning knowledge for the cleaning industry for managers and supervisors. BICS International supports organisations outside of the UK with training, membership and ATO setup. Read our latest case studies featuring how different companies benefit from BICSc certification.